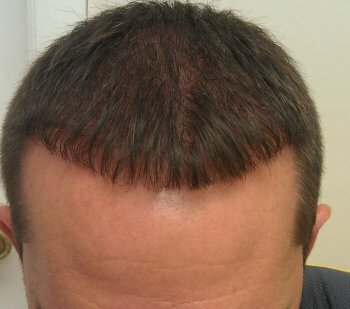 Clinical study patient 28 - Before/After Hair transplant with great growth at 6 months. 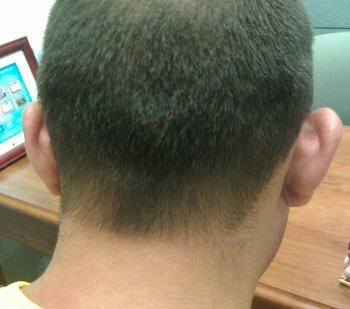 No visible incision, even with short hair! 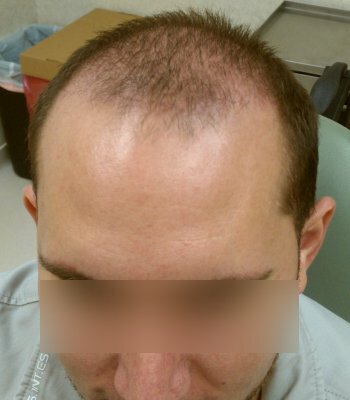 This is a typical male patient in his twenties who has hair loss and has a history of using workout products at the gym including creatine and whey protein isolate. 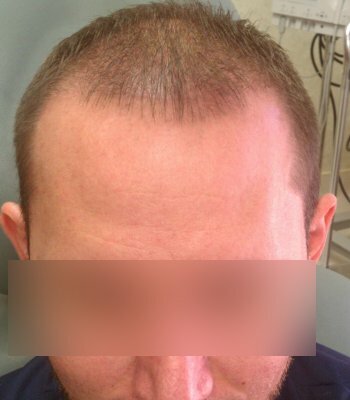 Patient was told to stop all anabolic products during regrowth after hair transplant and to use Help Hair shake 2 scoops daily to replace his work out products. I just received an email from him and I asked him to send me a camera photo of his growth at 6 months.(6/8/2011). 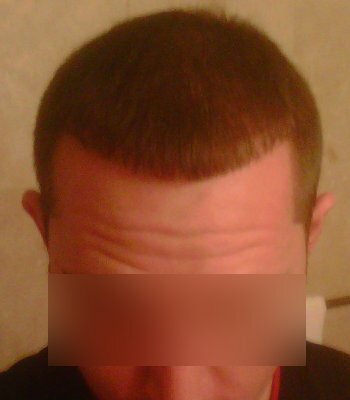 "I'm writing to u to inform you that i am very happy with my hair growth. I feel a lot more confident about myself and i couldn't have done it without you and your staff. I am forever greatful."